EXPOSED: CDC CORRUPTION, LINK BETWEEN MMR VACCINE AND AUTISM | "Global Possibilities"
Hotly debated for decades, the question of whether or not vaccines are associated with a sharp rise in autism has divided parents, physicians and scientists around the globe. “Vaxxed: From Cover-up to Catastrophe” tackles this highly contentious topic through interviews with a range of experts in the field, along with parents who feel their children have been injured by vaccines. 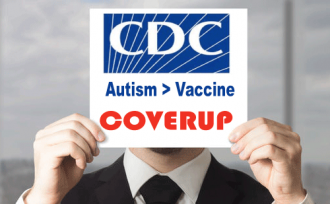 However, the main focus of the film concerns a CDC whistleblower who claims the Centers for Disease Control and Prevention destroyed documents regarding a study on the MMR (measles, mumps and rubella) vaccine and its association with autism. Considered the most controversial documentary in America, the film attracted significant media attention when it was “de-selected” from the Tribeca Film Festival earlier this year. For many, it’s a clear case of censorship. The event’s major donors include the Alfred P. Sloan Foundation and the Bill and Melinda Gates Foundation, both of which have donated money to the development of an AIDS vaccine. “It’s moved from a vaccine issue and civil rights issue to a first amendment issue,” Dr. Andrew Wakefield, the director of the film, told The Guardian. Can we trust the CDC on vaccines? The documentary “Vaxxed” has come under fire from scientists and health officials who’ve called it anti-vaccine. But is that actually the case? RT news talks with producer Del Bigtree and director Dr. Andrew Wakefield about the film. The documentary investigates how the Centers for Disease Control and Prevention concealed and destroyed data from their 2004 study, which found a clear association between the MMR (measles, mumps and rubella) vaccine and autism in African American children. The fraud was brought to light by CDC senior research scientist William W. Thompson, who was directly involved with the study. “This alarming deception may have contributed to the skyrocketing increase of autism, potentially the most catastrophic health epidemic of our lifetime. At the very least, the film demands that the CDC release its entire findings of its flawed MMR study so that independent scientists can review the data,” says Dr. Wakefield. Moreover, the film explores conflicts of interest between drug companies and governmental agencies in the United States, like the CDC and National Institutes of Health (NIH), as well as numerous ethical violations by vaccine manufacturers — one of which involved remarketing and distributing a MMR vaccine to the U.K and Brazil, after it was clearly shown to cause meningitis in Canada. The vaccine subsequently triggered major outbreaks of meningitis in both the U.K. and Brazil. Additionally, the profit motive of pharmaceutical companies is addressed, where a single vaccine added to the schedule can generate upwards of $30-billion a year. Throughout the documentary, parents with vaccine damaged children tell their stories of struggle and heartbreak. Vaxxed has attracted its fair share of criticism. Dr. Philip LaRussa, a professor of pediatric medicine at Columbia University Medical Center, feels the film didn’t portray the purpose of the Vaccine Injury Compensation Board accurately. LaRussa also says the documentary didn’t address the fact that Dr. Wakefield lost his medical license in Great Britain, eleven coauthors withdrew their names from the retracted Lancet paper, or that journalist Brian Deer wrote a number of investigative articles about how Dr. Wakefield conducted fraudulent research. Dr. Wakefield is considered a highly controversial figure, but there’s more to the story than what is portrayed in the mainstream media. Additional information about Dr. Wakefield and the retraction of The Lancet paper can be found here. The film has also been labeled as “anti-vaccination” by critics. In truth, Vaxxed isn’t against vaccination at all, but rather it’s advocating safe vaccines — which would require rigorous, transparent and objective testing, without conflicts of interest — a prudent vaccination schedule, as well as single vaccines, instead of trivalent vaccines like MMR. Importantly, the documentary presents an opportunity to open the discussion about vaccine policy in the U.S. — and possible solutions.